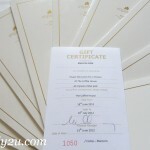 If you participated in the previous Emily2U freebie giveaway, and did not win, here is another chance for you to try. 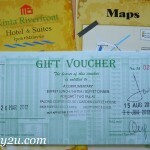 There are two vouchers given out this time, also for 1 night’s stay at Kinta Riverfront Hotel & Suites, Ipoh, Perak. It is very easy to participate, just follow the steps stipulated. Remember, do all the steps to get your name in the lucky draw! 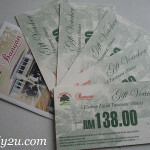 This contest ends on this Friday, 6th July, 2012 at 11.59pm! So be quick, yah! 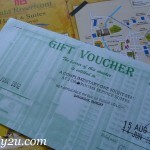 This entry was posted in Drawings and tagged Emily2U, Emily2U freebie giveaway on July 4, 2012 by Cyberpartygal.